White linen shades have brushed nickel accents at top and bottom for a rich contemporary look. Contemporary indoor lighting fixture includes hardware and installation instructions. Matching round wall plate is 4 1/2 inches diameter. 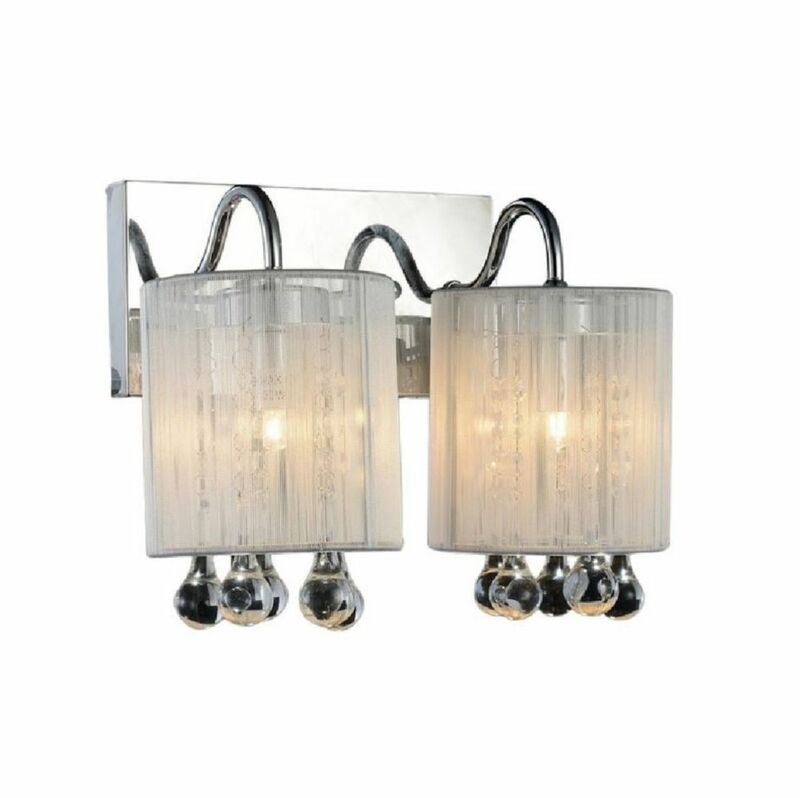 Water Drop 12 inch 2 Light Wall Sconce with Chrome Finish This breathtaking 2 Light Wall Sconce with Chrome Finish is a beautiful piece from our Water Drop Collection. With its sophisticated beauty and stunning details, it is sure to add the perfect touch to your dicor.